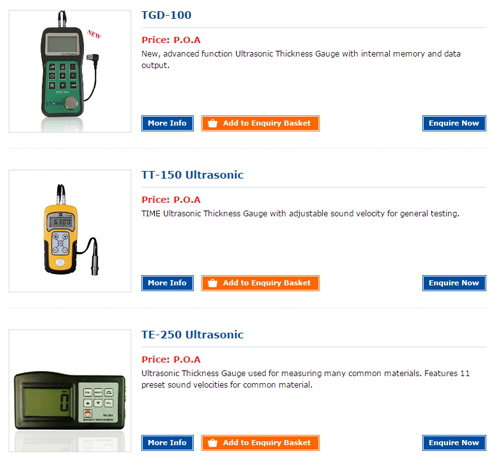 We sell and stock industrial testing equipment in Australia. Call us to discuss your application for any test equipment. Leeb hardness, ultrasonic thickness, Ra roughness, Brix refractometry, push-pull force, Shore hardness, roadworthy decibel and tint meters are just the beginning. Testequip is constantly evolving our product range to better suit the Australian market. Testequip Pty Ltd supplies Testing Equipment to the Australian and New Zealand Markets for more than a decade now. We have a comprehensive range of Testing Equipment for sale. Testequip has a wide variety of products that are on offer as we try and provide a one stop Online Testing Equipment Shop. We specialise in industrial testing equipment, but also cover in our range, engineering, manufacturing, food technology and temperature monitoring. We have a wide variety of products that range from Corrosion Test Chambers from Ascott Analytical, to refractometers that measure sugar content in fluids. We are also proud to announce that Testequip will be selling the Starr Instruments brand of products that are designed in Australia. This includes products such as Hardness testers, Thickness gauges, Surface roughness testers and Force gauges. If Testequip doesn't have the product you are looking for on our website, chances are we will be able to source it for you from our worldwide Testing equipment contacts. Alternatively, we can put you in touch with one of our Testing Industry partners that can help. Testequip has qualified engineers on staff and can assist with your technical requirements. Please contact us to speak to our sales staff or our engineer to provide a testing solution for your application. © 2014 testingequipmentshop.com.au. | All Rights Reserved.